Defending champion Guaros de Lara (LPB) agreed terms with 28-year old Virgin Islander international point guard Georgio Milligan (187-86kg-90, college: Franklin & Marshall). He is a dual citizen owning also American passport. Milligan played last summer at Escazu in Costa Rican LBS league. In 18 games he was the best scorer with impressive 21.6ppg and averaged (#4 in the league). Milligan helped them to win the league title. A very spectacular season in his career as he was selected Latinbasket.com All-Costa Rican LBS Player of the Year, named to 1st Team and League Player of the Week (2 times). He was voted NABC Division III All-Middle Atlantic Region Player of the Year back in 2012 at his college time. Milligan also represented U.S. Virgin Islands at the CBC Championships in Tortola (British Virgin Islands) four years ago. 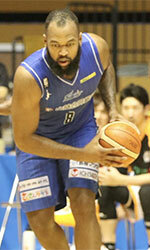 His team won Gold and his stats at that event were 6 games: 8.8ppg, 4.7rpg, 1.8apg, FGP: 46.9%, 3PT: 38.5%, FT: 66.7%. 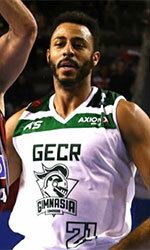 Milligan has played previously professionally also in Germany and Costa Rica (Grecia and Coopenae ARBA San Ramon). He attended Franklin & Marshall College until 2012 and it will be his seventh season as a professional player.